After the powerful storm on Friday and with parts of Bournemouth still underwater, we were almost certain last Sunday's competition would be cancelled or postponed. However, as if someone had flicked a switch, the skies cleared on Sunday morning and the kids' and teenagers' dance competition ran as planned. It was a successful day for East Sussex Dance; all of our dances looked fantastic and made good use of the very small dance floor. Daniel danced the Waltz and Jive. This was Daniel's first ever regional dance competition but he didn't let any nerves show through. He got called back into the Quarter Finals for his Waltz; a great start to his dancing "career"! Chloe "flew" around the floor during her beautifully poised Viennese Waltz, overtaking many other competitors in the process. We feel that Indi's performance in the Pre-Bronze Samba was the best she's ever danced. She really gave her all and, as a result, was called back into the quarter finals. Josh and Natasha made it to the finals of both their Ballroom and Latin Couples events achieving 4th and 3rd placings respectively. Maya danced a beautiful Waltz and got all the way to the final round achieving 6th Place. Elysia did very well in the 3-dance Sequence competition, a gruelling event where competitors perform three different dances back-to-back. Even though this was only Elysia's second time competing in this event she danced through to the final, taking 3rd place. All of our dancers from Brighton and Lewes should be extremely proud of their performances on Sunday. As usual, they represented East Sussex Dance very well and can now enjoy a well-deserved break from the busy competition schedule of January and February. Many of the dancers are also performing in a number of shows across Sussex over the next few weeks, so we still have plenty of dancing to be getting on with. This afternoon we have just returned from a demonstration in Eastbourne at a day centre for older people. They were charmed by our dancers, who showed a variety of their competition routines. One lady was a former dance teacher herself and came to thank us personally for coming to visit the day centre. That's all for now; enjoy your half term! 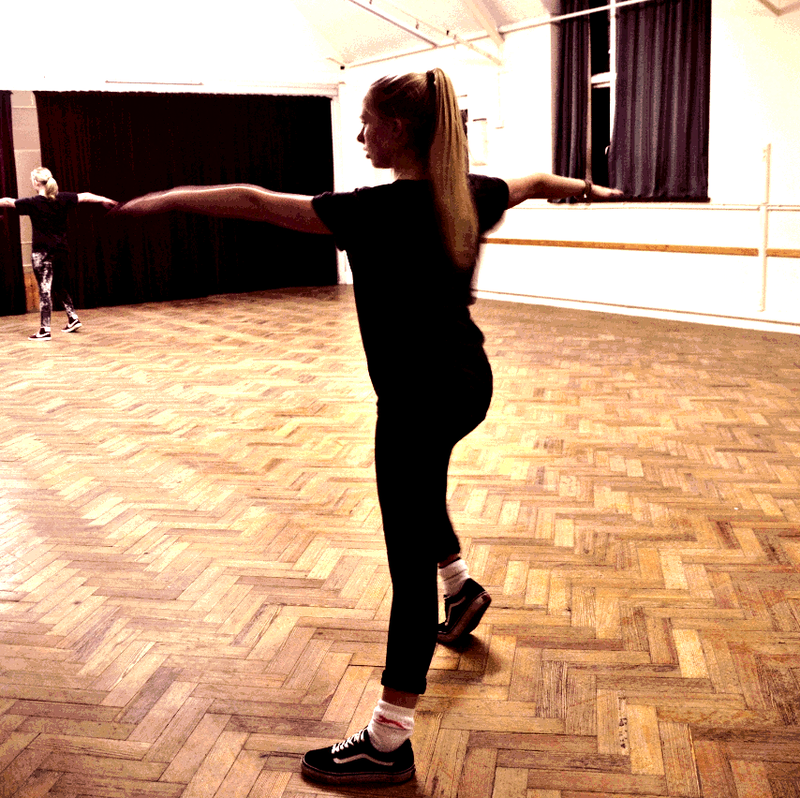 The new Adult dance classes and Kids dance classes are off to a great start in Brighton and Lewes. January saw our first professional cabaret of the year, the “January Blues” Tea Dance in Lewes and our first social night of 2014 was very well received (next date is 1st March). 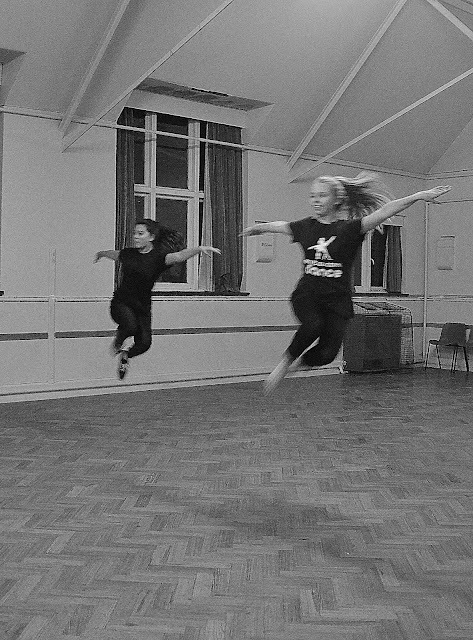 Our students have started working on pieces for the whole school dance show, flights have been booked for our Germany trip in June and by the time February has finished we will have attended our fourth dance competition of the year! Our dance school have also been invited to perform as “guest dancers” at over 12 other shows across East Sussex in the first half of the year! The month of March alone includes 4 performances at retirement and care homes, the Glenn Miller Story at the Pavilion Theatre in Worthing and 3 performances at Sussex University (as part of the Ballroom and Latin Dance society run by the Students). April and May are pretty hectic too; ISTD exam session for kids and adults in Lewes and Brighton, A St Patrick’s day practice night, Sunday Ballroom workshops as well as preparing for the local Kids and Adults dance competitions in Horsham and Hove. Saturday 5th July is our major school event: the East Sussex Dance school show. Every class, from our adults and teenagers down to the kids and toddlers dance classes are invited to perform 1 or 2 dances as part of the show which takes place at Michael Hall theatre in Forest Row. Although the children’s dance classes break for August, our week of Summer school keeps the kids busy. At the moment, September and October are business as usual with the adults and children’s dance classes preparing for the Autumn Term exam session and, for some students, their biggest dance competition of the year…The Blackpool Grand Finals in November. On December 31st we can celebrate yet another fantastic year at East Sussex Dance, looking back on the Christmas parties, Tea dances and Social dancing evenings and toasting the beginning of 2015. Remember next week is the kids Ballroom and Latin dance competition in Bournemouth so be sure to come back and view the full report here! 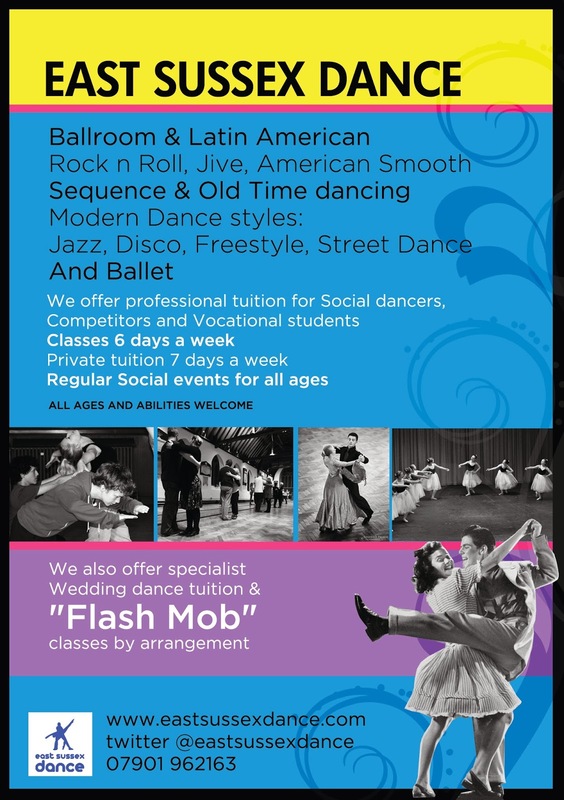 Visit www.eastsussexdance.com for more news about our kids, adult, toddler and private dance classes in Brighton, Lewes and across East Sussex and be sure to follow us on Twitter, Facebook and Youtube. 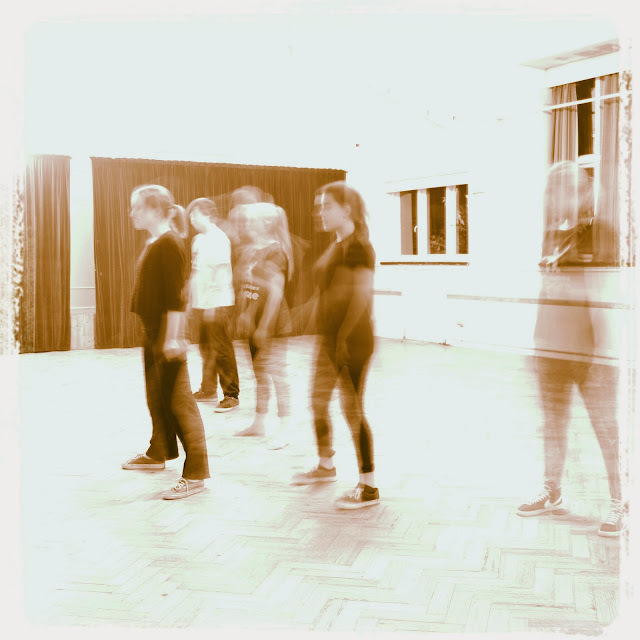 This was during our Tuesday teenage Rock n Roll and Street dance classes in Lewes. A big thank-you to Ana for sharing her photos with us! Today we were at a Children's Ballroom and Latin dance competition in Southend. 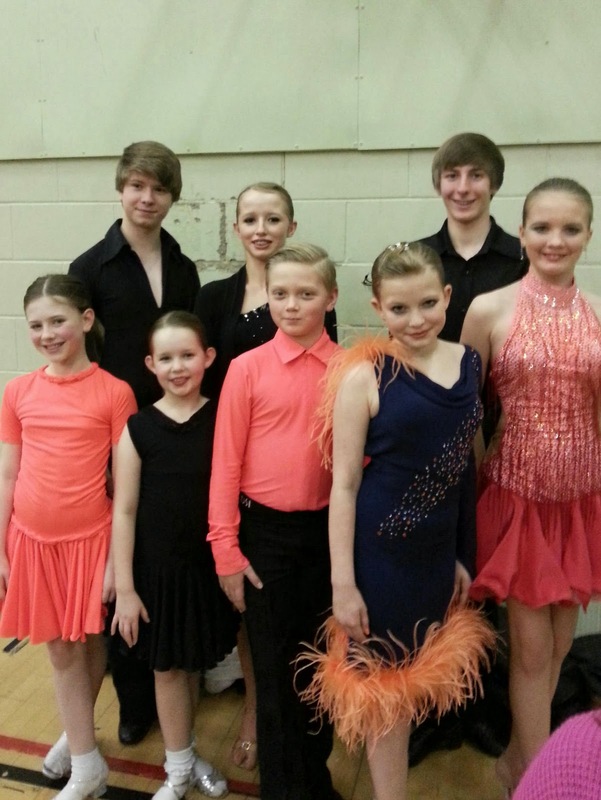 Although we only took 8 dancers, they represented East Sussex Dance very well! You can see how well they all danced by viewing some of the videos on our YouTube page. First up was Emma, who danced in the Juvenile (Under 12) pre-bronze category. Emma danced the Quicktep and Cha cha; she really catches the eye on the floor despite being one of the littlest dancers in her event. Next was Francesca, also competing in the Juvenile category but her dances were the Waltz and Jive. 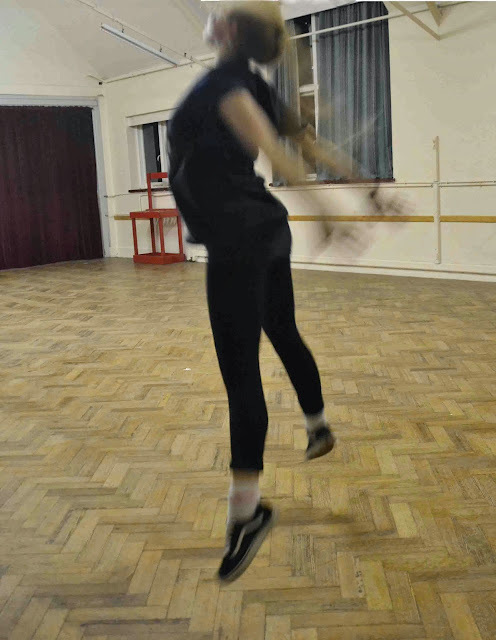 Francesca's enjoyment really shows through her dancing, to the point where we couldn't watch anyone else! In the Junior couples categories, dancing the Quickstep and Jive were Natasha, Josh, Camille, and Oscar. The boys' posture has improved tremendously over the last few months and they are now standing like young men instead of boys. Camille and Natasha showed great control in their very demanding Quickstep and Jive routines; a difficult thing to accomplish considering these are the two fastest dances! Representing the older students were Jack and Elysia, two very experienced dancers. You can tell these two have been dancing for years in their confidence on the competition floor. The attack and precision Jack displayed in his Tango and the musical expression in his Rumba require years of refinement. Elysia presented her Gold Foxtrot exactly how it should be danced; with effortless, powerful movement and big shapes. Medals from December exams have now arrived! We have just received 2 big cardboard boxes of medals, trophies and cups for the dancing exams held on 1st December. 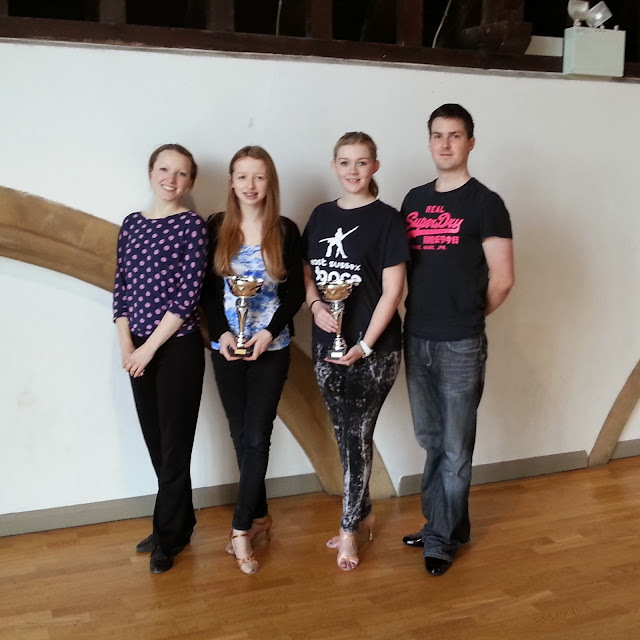 The Josephine Bradley Award is a tremendous achievement; candidates show 8 dances across the ballroom & latin spectrum to a very high standard, the culmination of 10 years training for Elysia and Chloe (pictured with Marcus and Alex). 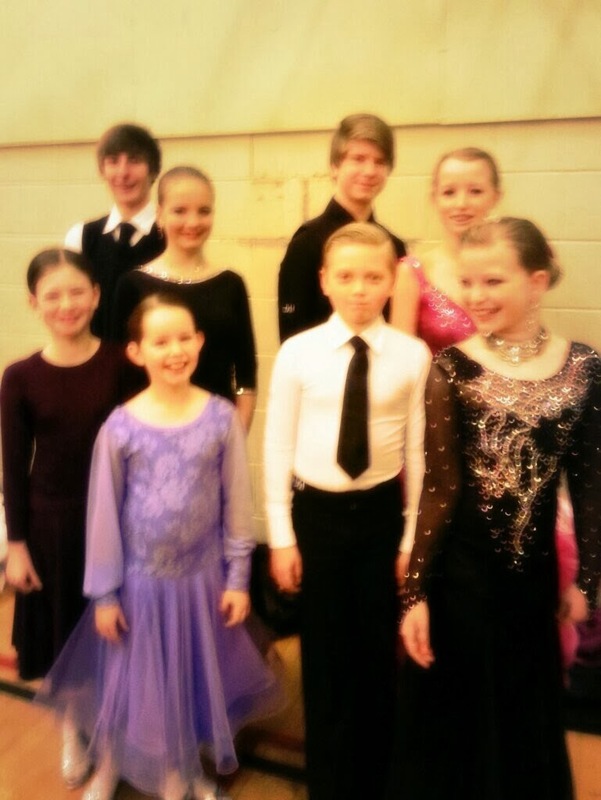 Well done to all of our other dancers too - you have all worked hard and will receive your medals very soon! The next ISTD exam session will be on 27th April in Patcham.